The Father’s Day weekend in Vancouver this year will be amazing with Car Free Day street parties, live music and multiple festivals throughout the region. Click on any of the following links to jump to a specific topic, or continue reading to learn about all of the region’s top activity options for the weekend of June 15-16 in 2019. Father’s Day in 2019 takes place on Sunday, June 16, which is the same weekend as the Denman Street Car Free Day, Main Street Car Free Day and Surrey Greek Food Festival. The BC Highland Games & Scottish Festival also takes place on the Father’s Day weekend, as do the Maple Ridge Food Truck Festival and Sasquatch Days at Harrison Hot Springs. 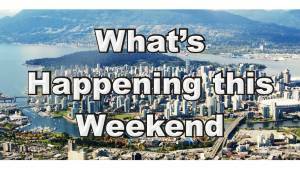 Below is information about some of the best things to do on the Father’s Day weekend in the Lower Mainland. Several Car Free Day events take place in Vancouver, including two major ones on the Father’s Day Weekend. The West End Car Free Day takes place from noon until 7 pm on the Father’s Day Saturday on Denman Street between Robson Street and Davie. The dozen or so blocks of this trendy neighbourhood are full of pedestrians, market vendors, street entertainers and musicians. Click Denman Street Car Free Day for more information. BEST DEAL FOR KIDS IN METRO VANCOUVER! Kidsworld is a program where membership costs only $50 and it allows a child and an accompanying adult to visit dozens of top attractions for no additional charge! That’s right – $50 gives you access to so many places! 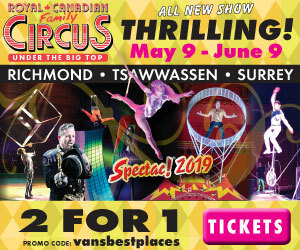 It’s the absolute best deal for kids in the Lower Mainland! Membership passes are limited! Click Kidsworld Program to reserve your spot today! The Main Street Car Free Day event takes place from noon until 7 pm on Sunday, June 16th, and runs along Main Street from East Broadway to about 30th Avenue. It too is a massive event attracting tens of thousands of people. For more information on the Sunday Car Free Day event, click Main Street Car Free Day. In addition to the Car Free Day events on Denman Street and Main Street, on both the Saturday and Sunday there are also smaller individual block parties throughout the Kitsilano region celebrating pedestrians too. Click Car Free Days for details about all of Metro Vancouver’s various car free day events. Burnaby Village Museum is always an interesting place to visit in the summer months, especially because it’s free! Father’s Day is an especially interesting time to visit though as they usually have vintage motorcycles and classic cars on display. The place is usually open from 11:00 am until 4:30 and the day finishes with a small procession of cars at 3:30 pm. Note: 2019 details are to be confirmed. Click Burnaby Village for more information about the attraction. The Surrey Greek Food Festival is a cultural event involving food and the performing arts. It runs from June 7th to the 16th, which means the Father’s Day weekend is your last chance to check it out in 2019. Admission to the festival is free, but you pay for your food. The event takes place at the Saints Constantine & Helen Greek Orthodox Church at 13181 96th Avenue in Surrey and it usually runs from around 4:00 to 10:00 pm on Friday and from 12:00 to 10:00 pm on Saturday and Sunday (although 2019 details are to be confirmed). Click Surrey Greek Food Festival for more information. In 2019 the BC Highland Games & Scottish Festival takes place at Coquitlam’s Percy Perry Stadium on Saturday, June 16 (so the day before Father’s Day). The event features live music, dancing and a wide variety of Celtic sporting competitions. See the BC Highland Games & Scottish Festival website for further details. The Maple Ridge Food Truck Festival is a street party-style food truck event featuring food vendors, an artisan market and live music. It’s free to attend and takes place in downtown Maple Ridge on 224th Street near the Memorial Peace Park between the Lougheed Highway and Dewdney Trunk Road. 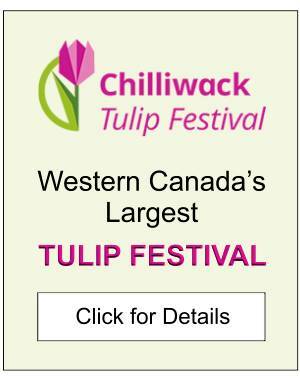 Click Maple Ridge Food Truck Festival for more information. The 5X Festival used to be called the City of Bhangra Festival. It’s still an arts festival. The focus is now slightly less on the culture of the Punjabi though (but only slightly), and more on the culture of South Asia in general. In 2019 the festival runs from June 12th until the 16th. Events on the Father’s Day weekend last year included the 2 Vs 2 Bhangra Competition which involved over 30 Bhangra dance groups competing at Surrey City Hall and Central City Plaza. Another 5X Festival event was the free 5X Block Party which also took place at Surrey’s Central City Plaza. 2019 details will likely be similar (but to be confirmed). Click 5X Festival for more information. Sasquatch Days is a 2-day community festival at Harrison Hot Springs on the Saturday and Sunday of June 15-16 in 2019. At the event there are war canoe races, a salmon BBQ, live entertainment and craft activities. Click Sasquatch Days for more information. Old Car Sunday in the Park takes place in Mission at Fraser River Heritage Park at 7494 Mary Street on the Father’s Day Sunday from 9 am until 4 pm most years. Admission for spectators is by donation. To participate with your vehicle costs about $10 if paid online in advance or $15 (cash only) at the gate (or at least those were the costs last year). See the District of Mission‘s website for further details. Spend the Day at the Beach – if the weather is good then a fabulous way to spend the day is at one of Vancouver’s best beaches, including those in White Rock, Jericho, Kitsilano, Boundary Bay, Stanley Park and the list goes on. Go for a Hike – take Dad and the family on any of Vancouver’s Best Hiking Trails at some of the region’s best parks. Take Dad out to a Restaurant – go out for brunch, lunch or dinner at any of Vancouver’s Best Restaurants. Take Dad Boating – rent paddle boards, kayaks or canoes at Alice Lake, Cultus Lake, Deep Cove, Deer Lake or any one of numerous other places in Metro Vancouver and the surrounding area. Take Dad Fishing – great fishing spots include North Vancouver’s Rice Lake, in West Vancouver off the pier at either Ambleside or Dundarave, or in any of the Lower Mainland’s other great waterfront locations. 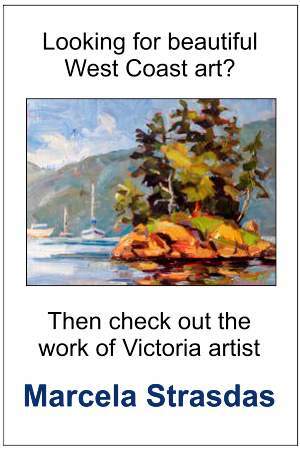 For ideas on things to do at other times in the month, see Vancouver’s Calendar of Events.